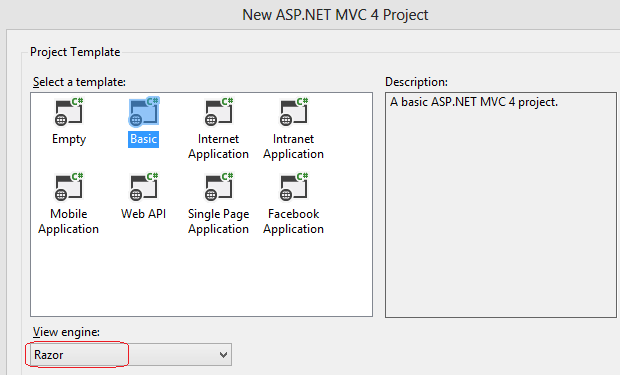 Today, I am writing a small post on ASP.NET MVC that will help in performance of ASP.NET MVC application. So lets discuss it in detail. Whenever we create an ASP.NET MVC application it allows us to select a View Engine Razor for the application as. Here we selected Razor and this is selected by default as well. 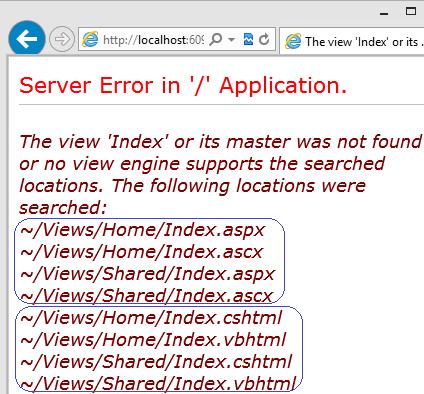 1) Let’s see the collection ViewEngines in Global.asax. It shows as while debugging. The above clearly shows that it contains two View Engines while we selected Razor View Engine while creating application. It tries to find the View but could not find. It also shows what file names and where does it try to find. If we see the above screenshot then we find that it tries to look files with extension .cshtml/.vbhtml and .aspx/.ascx as well, where .aspx/.ascx is used in case of web-forms view engine. And we selected razor View engine while application creation. It simply shows that it loads two view engines which is not required. Now after making the above changes, it loads only the added ( here Razor) view engine. 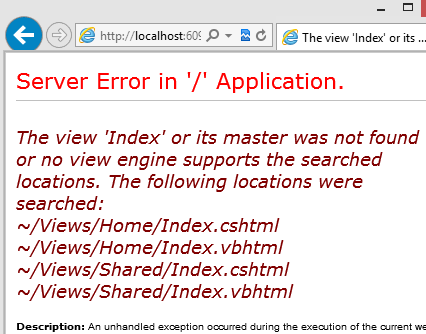 Now it tries to find only .cshtml/.vbhtml files. We should use the above logic and because there is no use loading all the view engines in memory if we are not using . Hope you all find it useful and use it in your projects. This entry was posted in ASP.NET MVC, Tips and Tricks. Bookmark the permalink. Thanks for sharing. It will be very useful.